Senator Joseph Lieberman has called on the Obama Administration to accelerate the process by which Taiwan nationals can obtain a visa in a move already taken by other North American and European states. U.S. 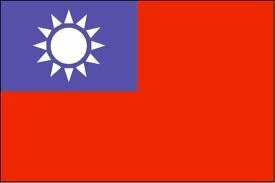 Senator Joseph Lieberman has asked the Obama administration to speed up the process of granting visa waiver treatment for Taiwan passport holders, the Taipei Economic and Cultural Representative Office in Washington said Wednesday [2 November 2011]. Lieberman, chairman of the Senate Committee on Homeland Security and Governmental Affairs, sent a letter in late October  to Secretary of State Hillary Clinton and Secretary of Homeland Security Janet Napolitona asking the administration to announce Taiwan as a candidate for the U.S. visa waiver program (VWP) as soon as possible, the Taiwanese office stated. In the letter, Lieberman said that Taiwan had adopted various measures, including improving travel document security, to meet the requirements for obtaining visa waiver status. He said Taiwan had also made headway in cooperating with relevant U.S. agencies over terrorism prevention methods. He added that Taiwan’s inclusion in the VWP would facilitate the expansion of bilateral engagement and trade and that it would not harm U.S. national security in any way. Moreover, he said that Taiwan citizens have been granted visa-free treatment by the U.S.’s closest allies, including Canada, the United Kingdom and the Schengen states.